Thanks to the A+ Garage Doors blog for these tips. It sometimes cannot be avoided that our garage will have a certain stink about it. Paint cans, gasoline canisters, tools etc. may be stored in the garage and items like these can leave foul odors behind. The cat box might be out there or it is even where some may store the trash until pick-up day. This does not mean that one should have to suffer with a smelly garage. 1. 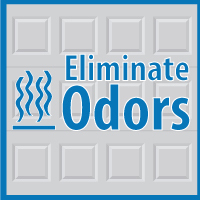 Storing odor eliminators like baking soda, air fresheners and deodorizers will help reduce the pungent smells in your garage. 2. If your car is not parked in the garage, washing the floor will disinfect the floor and help keep smells from becoming too overpowering. Especially wash where garbage or pet waste containers are being stored to stop the growth of odors and bacteria. 3. Once or twice a week, open the garage door. Keep it opened for about an hour in order to let some fresh air in and the musty smell out. 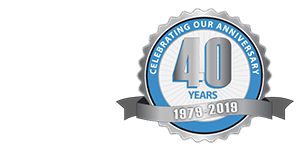 Make sure that you garage door is properly maintained. Check out this Garage Door Maintenance Checklist for tips. 4. Have your garage door insulated to keep out the cold air, which will decrease the musty air in the garage. For more information on insulating, read Insulating Your Garage Door.